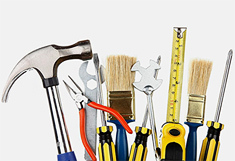 Sell Tools Online With Ecwid. Do you Sell Tools Online? Install our free E-commerce App and Sell Tools in just a few short steps. 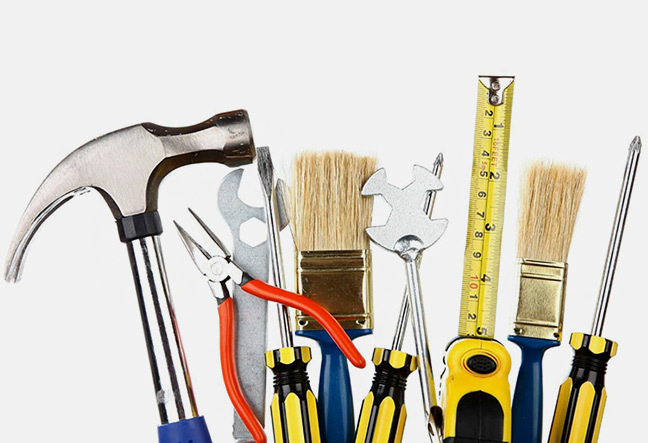 Whether you manufacture custom tools, repair and resell vintage tools, or are just looking to sell tools online, Ecwid makes launching an online store to sell tools remarkably easy. With only a few short steps, you can set up a feature-rich and free online store to sell tools even if you’ve had no prior experience doing so. Your online store will blend seamlessly with your website and display beautifully wherever your customers shop. Ecwid’s revolutionary e-commerce platform allows you to connect with your customers, manage your business and sell tools like you never imagined before. With a lightning fast interface, social media integration, and customizable management features you will have all the tools e-commerce stores require. Ecwid lets you integrate your online store into your new or existing website without needing any prior coding experience. Simply cut and paste a few simple lines of code into the backend of any Content Management System or quickly add a tool store e-commerce functionality to your Facebook page, and you’ll be ready to sell online in no time. Uploading the images and descriptions of your tools for online shopping is fast and easy. And if you manage multiple websites, all of your products will be mirrored across your sites, making inventory management a breeze. Sell simultaneously in person and on websites, mobile phones, social sites and marketplaces like Google Shopping, Yahoo and Shopping.com. Add an online store to Facebook, Tumblr or any other social media site. Ecwid is the #1 e-commerce app on Facebook with over 40,000 stores. Sell globally with multi-currency support, over 40 international payment options, real-time shipping integration and support for 45 languages. Once you’ve uploaded your products and descriptions to your online store, you can then customize the look and functionality of your tools online store as much or as little as you would like. Select from a variety of widgets, including search bars, product galleries and more to make shopping incredibly easy for your customers. Your new online tools e-commerce platform utilizes a lightning fast AJAX interface, drag and drop support and a favorite products feature, to make it easy to find tools and online shopping simple. Choose from a wide variety of payment, tax and shipping options that best suit your needs and those of your customers. When you sell tools with Ecwid, you can also connect with your customers in many different ways to help build a loyal following and encourage repeat purchases. Using social media shares, customer data tracking, personalized messages, and more you can develop a long-term relationship with your customers that lasts for years to come. If you’ve had prior experience selling online or this is your first time to sell tools, Ecwid will make the entire process incredibly easy and incredibly rewarding. Sign up for a free membership today and find out why more and more merchants are trusting Ecwid to help grow their business.